What do power factor correction capacitors have to do with harmonics? A discussion of power system harmonics is incomplete without discussing the effects of power factor correction capacitors. 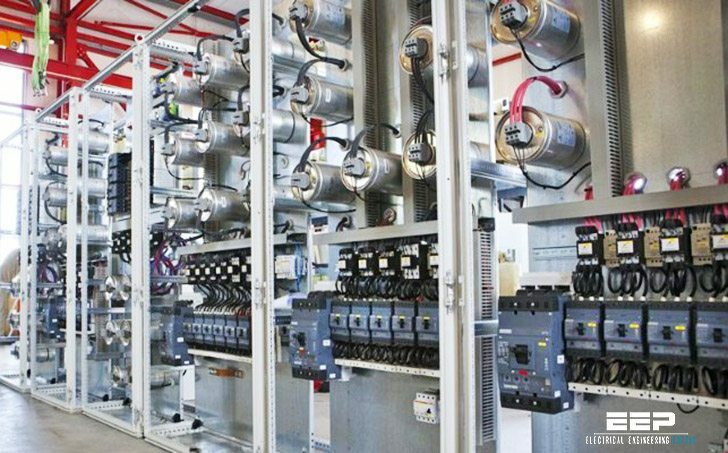 In the power plant containing power factor correction capacitors, harmonic currents and voltages can be magnified considerably due to the interaction of the capacitors with the service transformer. This is referred to as harmonic resonance or parallel resonance. For a typical plant containing power factor correction capacitors, the resonant frequency (frequency at which amplification occurs) normally falls in the vicinity of the 5th to the 13th harmonic. Because nonlinear loads typically inject currents at the 5th, 7th, 11th, and 13th harmonics, a resonant or near-resonant condition will often result if drives and capacitors are installed on the same system, producing the symptoms and problems outlined in the previous section. NOTE: Capacitors themselves do not cause harmonics, but only aggravate potential harmonic problems .Often, harmonic-related problems do not “show up” until capacitors are applied for power factor correction. It is a common misconception that the problem of applying capacitors in harmonic environments is limited to problems caused for the capacitor itself – that the capacitor’s lower impedance at higher frequencies causes a current overload into the capacitor and, therefore, must be removed. However, the capacitor/harmonics problem must be viewed from a power system standpoint. 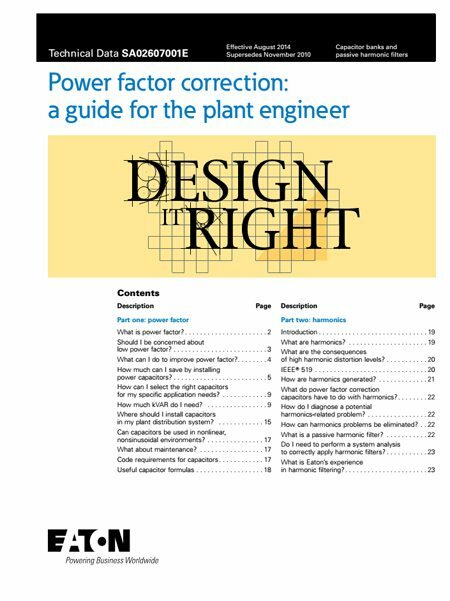 The capacitor-induced increase of harmonic voltages and currents on a plant’s system may be causing problems while the capacitor itself remains within its acceptable current rating. How can harmonics problems be eliminated? When power factor correction is required in the presence of nonlinear loads, or the amount of harmonic distortion must be reduced to solve power quality problems or avoid penalties, the most reliable, lowest cost solution is often realized with the use of harmonic filters.